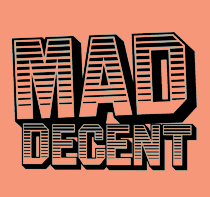 Mad Decent is the name of the Los Angeles-based record label spearheaded by Wesley Pentz, better known as Diplo, the 3x Grammy-nominated producer and world renowned DJ. As an influential label that has been home to artists like Major Lazer, Baauer, Rusko, Dillon Francis, RiFF RAFF, Crookers, Bonde Do Role and the whole Jeffree’s crew, Mad Decent aims to bring new genres and cultures to light in the ever diversifying music community. Aside from the music released, Mad Decent is also known for its annual Block Parties, a series of outdoor dance party/concerts in select cities across the United States and Canada.